As the term is named; it suggests people or we can business owners or we can say SEO experts who keep altering the SEO strategies as per the changes in Google Algorithm. Based on the variations in rankings, strategies keep varying. Those who fall in this category often find obstacles instead of seeing opportunities. On the other hand; these are considered as quick followers of content trends in the industry. Links will still be an area of focus. In order to compensate for poor rankings; content strategies will be seen fragmented, disjoint and random. The main focus will be on technical SEO where efforts will be made to boost the internal link quality along with reducing domain value. Now, these are the ones that are loved the most by Google. Reason; such people create effective content thus maintaining the technical infrastructure compatible with modern interfaces. These are used to set the trends instead of following them. Audience pleasers think more of their audience and keeping in mind their needs; they create content as per the needs. Here, the main aim is to provide useful information to the audience. For such, there’s an increasing amount of organic traffic in terms of links as well as social engagement. This boosts conversation. Such content compels audience to come back again and again. As a result, the number of loyal visitors increases. Audience pleasers develop their brands outside their own media. They don’t have to make efforts to increase social audience. Hence, no spammy techniques are involved to get more rankings. Thus proved; Audience Pleasers are loved by Google the most. Google acts a personal assistant and is the sole decision maker that decides whether the users must be directed to your website or not. This decision is based on user’s habits, preferences and quirks. As a result, you will find Google directing to users only on those sites that is matching their interests. You can also see ads that are relevant to your needs. This is equal to the approach where it is necessary to meet secretary before actually meeting the boss. So, here secretary is Google and Users are the boss. Hence, your worthiness will be decided based on your site’s history and its eligibility to get audience. Google checks whether the site is able to please audience or whether the audience drive away from your website. Google has different algorithms that act with the autonomy to offer related information to the users. This can be related to entertainment, educational material, good and services. Well, this really goes forward isn’t it? Avoid thinking that you can manipulate the way in top rankings in Google, this will only increase frustration. So, if you focus on user’s needs, their wants and desires and the way they wish to interact with sites, media then you will know how to move through the completely changing landscape of SEO. They are technically smart. This allows them to easily adopt with the change and adapt to new channels quickly. Further, their content strategy is developed particularly for their users whereby they address their needs, speak their languages and arrange for face to face meetings whenever they can. They keep proper metrics alignment as this helps them to focus on making their sites engaging instead of just chasing rankings and traffic. Whether you are an algorithm chaser or an audience pleaser? The way you look at SEO determines your success in the online world. We recommend you to become an audience pleaser instead of an algorithm chaser. Hope this blog post is useful to you and will serve as a perfect guide for every business owner who wishes to have result oriented SEO strategy. 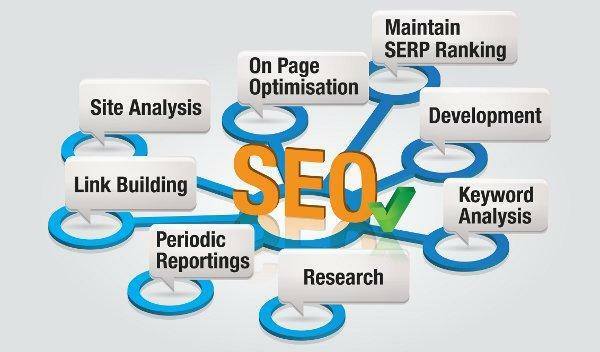 For more of such related guidance and tips; stay connected with Platinum SEO; a well known Melbourne SEO firm.